Living or traveling overseas offers a unique set of opportunities for expats. Sharing stories and information about your life abroad can be of value to others considering an international move. Video is a great way to present your story, and the ideal platform to host your content is most likely YouTube. 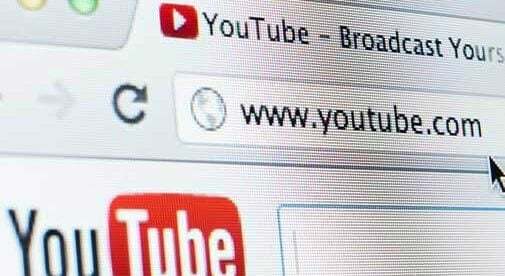 Not only is YouTube the second largest search engine in the world, it is also the predominant video platform. If you have an innovative idea and want to make money from it, building an audience on YouTube could be a good strategy. The road to earning an income on the platform can be long and requires significant time and energy. However, if you have a passion for your subject and can offer value to your viewer, it may well be worthwhile. In 2006, Google acquired YouTube. Today, YouTube has more than one billion users, with over 400 hours of video uploaded per minute, or roughly 65 years of video per day. So, in order to compete against this massive amount of content, your videos need to offer distinct value to the viewer. But more importantly, it needs to be a subject you are excited about. Viewership is the key to making money on YouTube. Boosting your subscriber numbers, video view count, and total watch hours will determine how much money you can make. However, in order to create videos on a regular basis, engage with YouTube fans, and dramatically expand your audience, you need an unwavering motivation. To find your passion, identify what subject you are uniquely qualified to create videos about. If you are living abroad, your understanding of your respective region or city may be extremely useful to someone who is thinking of visiting or relocating. Also consider what skill sets you have developed over the years that could be useful or entertaining to viewers. Is there a gap in YouTube’s search results that you are uniquely suited to fill? Once you’ve identified your topic, lay the foundation for your success. Create your YouTube account, and social media accounts on which you can distribute and push your content. To make the most of these accounts learn everything you can about each platform to ensure you understand what works and what doesn’t. Producing content that people want to watch and can be found by YouTube’s search algorithm, is both an art and a science. • Short, steady, and focused clips -Attention spans are limited. Keep your clips short and your camera moving in one direction to give your videos an energetic feel. • Descriptions -YouTube has a description field that helps viewers and algorithms know what your video is about. Fill it out completely and use appropriate hashtags. • Closed captioning – If people are speaking in your video, use YouTube’s closed captioning feature. This will help the hearing impaired. It will also tell YouTube what your video is about. It can be translated by Google into over 70 different languages. • Use a stabilizer -Shaky videos are unpleasant to watch. Invest in a tripod, use a camera with a built- in gyroscope stabilizer, or apply the stabilizer feature in your video-editing software. Everything begins to happen on YouTube when you reach 1,000 subscribers, and 4,000 hours of watch time. Once you cross this threshold, you can apply to monetize your YouTube account. Monetization allows YouTube to place ads on your videos. You are then entitled to a portion of the income YouTube derives from these ads. The more views you get on your videos, the more money you make. However, YouTube has only enabled monetization in 89 countries, so this may or may not affect your ability to earn income internationally through YouTube Ads. Once you’ve reached 1,000 subscribers, you’re also in a good position to begin deploying affiliate marketing. Affiliate marketing is the process of earning a commission for selling other people’s products or services. For example, if you are promoting a product in your video, you can direct viewers to a link in your YouTube description. Once the viewer clicks that link, a “cookie” is assigned to their profile and they are taken to the company webpage offering the product. If the viewer makes a purchase, you earn a commission. With enough viewers, you may want to consider an advertising sponsorship. If a product or service feels that your audience is their ideal target market, they may pay you to promote their offerings in your videos. Once you have a consistent fanbase, try reaching out to relevant advertisers. They may want to showcase their merchandise to your viewers. Loyal fans can be powerful advocates for your videos. If you have enough of them, you might be able to sell them T-shirts, hats, pins, and coffee mugs. Amazon has a service called “Merch.” This enables you to sell your brand as merchandise. Simply upload your logo or tagline and Amazon will create a product page for you on their site. You receive a royalty for every product sold. Perhaps your YouTube fans will want to come see you in person. If so, organize an event and charge them to attend. Walking tours, lectures, or offering all-inclusive vacations might be ideal events that will resonate with your viewership. Earning money on YouTube is dependent upon producing high-quality, relevant, and timely content. If you are passionate about your subject matter and surpass 1,000 subscribers, you may be able to start generating a reasonable income. The top 10 highest-earning YouTubers in 2017 all earned over $10 million. Their secret to success was quality content, a passion for their subject matter, and engagement with fans. To earn an income on YouTube, be realistic with your goals and enthusiastic about sharing your content. The YouTube community may be waiting to reward you.